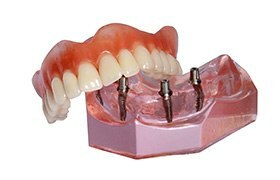 One of the first questions patients ask us about dental implants is, “How much does it cost?” It’s important to understand that dental implant supported tooth replacement does require a larger upfront cost, but unlike other tooth replacement solutions that need to be frequently repaired or replaced, dental implants will last for decades or even an entire lifetime for many. That means your initial investment delivers a lifetime of healthy, flawless, properly functioning smiles. If you want to learn more about the cost of dental implants or the implant supported tooth replacement process, please call the D’Amico and Mauck, DDS team to schedule an appointment with us in our Aurora dental office. We work hard to help patients understand their treatment costs and plan for their payments, so there’s never a surprise bill. The bulk of the cost of dental implant supported tooth replacement is the price of the implant itself and the surgical placement. For a single dental implant and placement, patients typically pay between $1500 and $2000, but very complicated procedures may be higher. For each additional dental implant and placement on the same day, the cost decreases. 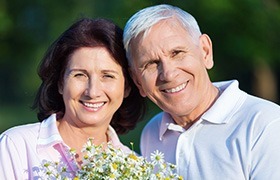 In addition to the cost of the dental implants and their surgical placement, you should also consider the costs of preparatory procedures like tooth extractions and bone and soft tissue grafts. The price for these preparatory procedures varies widely. In many cases, dental insurance will cover part of the cost of these procedures. Finally, the cost of your replacement tooth or teeth should be considered. Depending on the number of teeth you’re replacing, the cost will vary. Dental crowns can cost anywhere from $500 and $1500 each, bridges typically run $3000 to $4000, and partial and full dentures can cost between $2500 and $5000 or higher. Dental insurance will typically cover a large part of the cost of the replacement tooth or teeth. 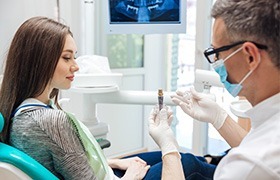 For the most part, dental insurance does not cover the cost of dental implants, but other portions of the treatment like tooth extractions and dental restorations, will usually receive coverage by your insurance provider. We will work with you to understand your dental benefit plans and help you receive the maximum dental insurance coverage. In addition to helping patients maximize their dental insurance coverage, we can also help with financing. First, we will charge fees for the individual stages of treatment, allowing you to pay for the procedures in smaller pieces. Additionally, we’re always happy to work with CareCredit to provide low or no interest payment plans for qualified patients. You can apply online for preapproval or talk to our team about the application process during your next appointment. We’ll be happy to help.